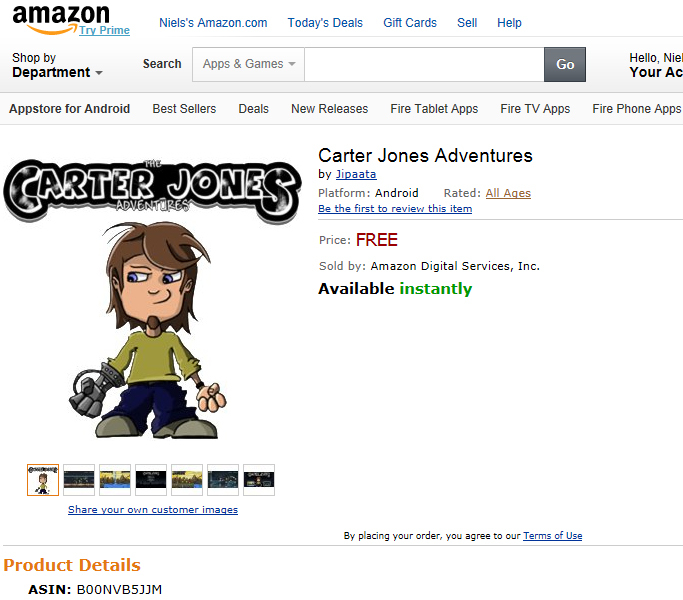 Carter Jones Adventures is right now available on Amazon devices! Wow, that was fast! I submitted Carter Jones Adventures to the Amazon App Store just yesterday and got a confirmation with a nice overview on which devices it is available overnight. Amazon seems to have their app submission-process pretty good under control and well-manned / automated (I suspect the latter). Here’s the link: Carter Jones Adventures it’s FREE, enjoy it! Vorige: Vorig bericht: Amazon version submitted!